The Auckland International Airport in New Zealand is top notch for beauty mavens. In addition to their full service MAC counter (perfect for emergency mascara applications – which I utilized in advance of meeting my impending dream date when I majorly needed it), they have a beauty product emporium, filled with local brands I had never seen before. I was in heaven. After weeks of hiking, switching from a humid Hawaiian climate to a country in one of the longest droughts of all time, and NOT MOISTURIZING, I decided I deserved an eye cream. After scouring various exciting eye creams touting New Zealand prized ingredients such as lanolin (really? 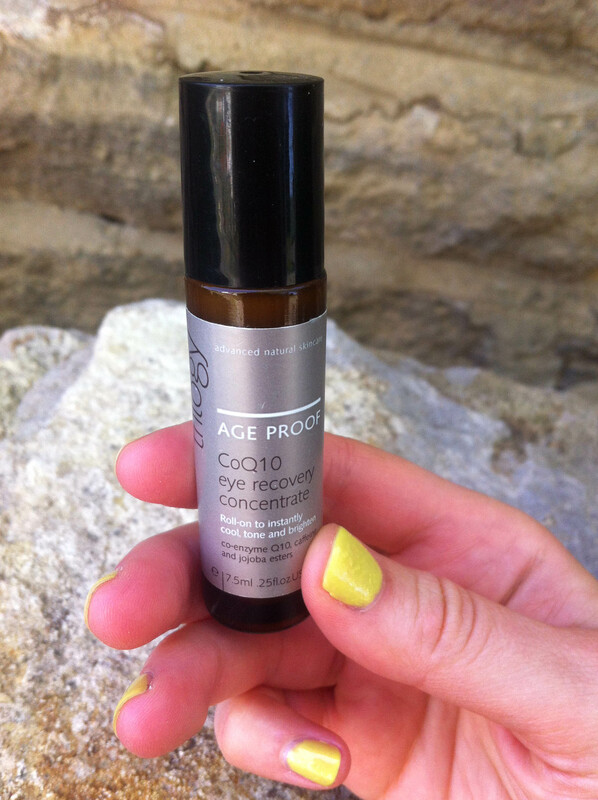 ), kiwi seed extract, and bee venom (that sounds scary), I settled on the CoQ10 Eye Recovery Concentrate. It comes in a roller ball application, which means no product gets wasted when you apply! Co-enzyme Q10 is a strong anti-aging component (fight those lurking fine lines! ), caffeine from coffee and green tea is a proven de-puffing, free-radical destroying, skin cell turnover ingredient, and jojoba esters smooth and moisturize. The consultant behind the counter kept insisting that this was a kind of a “booster” to be applied OVER your eye cream. I just wanted to stop the feeling that my eyelids had turned into crispy potato chips due to the lack of moisture in the air. So, while this is not necessarily promoted as a moisturizer, it was perfectly sufficient enough for someone in their 20’s-30’s who wants to protect their delicate eye area from aging but doesn’t need a heavy eye cream. I love that it is a lip-gloss sized case, so I can stash this in my bag and re-apply any time. The back recommends applying “morning and night or whenever you need an instant eye pick-me-up,” so I took the latter instructions very seriously and began to randomly apply it whenever I remembered it in my bag. In fact, I became quite obsessed. The light concentrate feels cooling, soothing, and lifting, which was absolute perfection in the heat or on a long flight. This is the ultimate hot weather, de-puffing eye concentrate. And if you need extra moisture, roll some on and add eye cream on top! Want it? Find it here.